Consumers | kgc Maintenance Pte. Ltd.
Bacfresh is a bio-organic compound made up of various type of enzymes secreted by naturally-occuring beneficial microbes. These enzymes can minimise if not eradicate all types of organic foul odour. 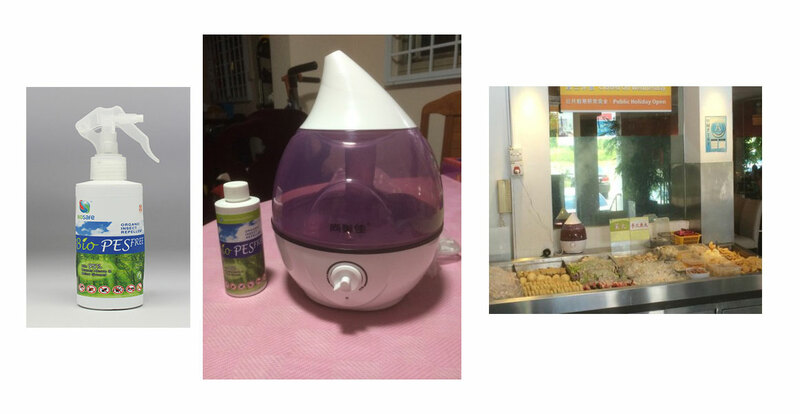 Biosafe Pesfree with humidifier to repel all flying insects such as houseflies, mosquitoes, cockroaches, etc. HomeShield is a microbial enzymes consortia , the inhibit pathogens like e.coil, coliform and salmonella. Effectiveness : It is effective against all insects , but harmless to animals and humans. Removes dirt , gril , oil , grease and eliminates odour and harmful bacteria on floors of living areas/bathroom and kitchen area , sinks etc. © 2015 KGC Maintenance Pte. Ltd.